Seabird colonies extending from Ireland’s Skellig Michael up to the Arctic are being monitored with time-lapse cameras as part of an international project on climate change. University College Cork (UCC) scientist Dr Mark Jessopp, who is one of the project leaders, has recently returned from testing the technology in the Spitsbergen archipelago on the Arctic Sea. Black-legged kittiwakes are the current focus of the research, which will be extended to other species, including fulmarks and gannetts, according to Dr Jessopp. “These birds are very responsive to changes in the environment, being dependent for feeding on fish stocks which are in turn being affected by plankton and changing ocean temperatures,” he said. 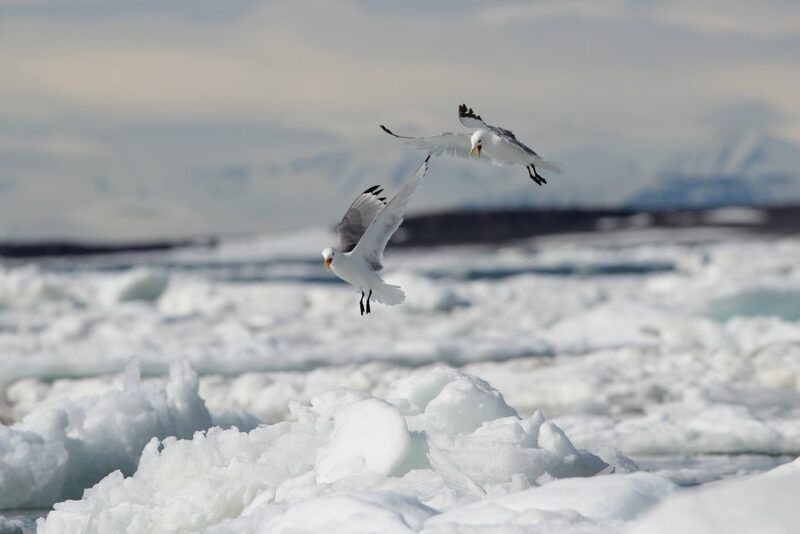 Dr Jessopp, a researcher at UCC’s MaREI Centre for Marine and Renewable Energy, explained that a particularly bad ice year can delay birds from setting up colonies, which in turn affects their breeding cycle. Ocean acidification, caused by chemical changes due to carbon dioxide emissions, is also affecting seabird populations which are at the top of the marine food chain. Working with Dr Tom Hart of Oxford University in England, he has set up a series of cameras located at colonies on Skellig Michael off the Kerry coast, in Wales and Scotland, Iceland, the Faroe islands and Spitsbergen. “We have deliberately chosen some of the most inhospitable sites for the cameras, to test them out over a number of seasons,” Dr Jessopp said. He said images are taken every hour throughout the year and these cover the period when “the birds turn up, nest, the chicks hatch and take flight”. “This builds up a very large database, and we will be using citizen science to engage volunteers, who will in turn “train” computers into recognising and annotating particular types of seabirds,”he said. Dr Jessopp, who spent four years on South Georgia in Antarctica, received firearms training before undertaking the expedition, due to the risk of polar bear attack. Happily, there were no serious encounters, and he and his colleague, Dr Hart, counted 14 polar bears on this recent trip.